Mylan Satchi, M.D - Reflux, Stomach Pain, Ulcers - Paul Arnold, M.D. Mylan Satchi, M.D. is a Board Certified physician who received his MD/MPH from St. George’s University. He completed his residency in Internal Medicine, chief residency, and gastroenterology fellowship at Lenox Hill Hospital in New York City. This included training in transplant hepatology at the Mount Sinai School of Medicine and inflammatory bowel disease at the University of Chicago. 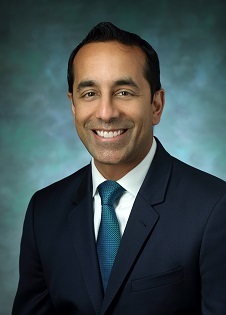 Dr. Satchi’s clinical interests encompass the entire scope of gastroenterology, with special interests in colon cancer screening, gastroesophageal reflux management, and inflammatory bowel disease. He has authored several publications, abstracts, and presentations given at national meetings. For the past 5 years, Dr. Satchi served as an attending gastroenterologist at Lenox Hill Hospital and was part of the key clinical faculty for the fellowship program, serving as the education coordinator. He was closely involved in the education of medical students, residents, and gastroenterology fellows. He has an additional interest in community education and public health awareness of gastrointestinal diseases. In his spare time, he enjoys spending time with his family, traveling and watching the New York Giants.